The knowledge of Vedic Astrology has come down to us from the Vedic slokas. These slokas have been deeply studied and realized by our Siddhas in ancient times. Hence, through them we learnt about the Universe, and the waves of energy that impact our lives. They suggested practical ways to diffuse negative energies of planets in our lives and how to seek blessings of good energies. Vedic Astrology guides us to seek a better life than what our planets have destined for us. Siddhas in ancient times had understood the cosmic energy, and calculated its effects for the good of common man. Maharishi Parashara is said to have provided explanations of this ancient Vedic science as predictive astrology to enable man seek blessings of benefic forces and protect themselves from malefic ones. Vedic slokas tell us how the presence of planets in each house can create specific effects on man. But many of these slokas are indicative or suggestive in nature and not easy to comprehend without deeper knowledge of Metaphysics. Generally speaking, Ancient Vedic Astrology, as revealed through Vedas, mainly relates about creation of this Universe, and its relationship with man born to the Earth. It was through the Siddhas that we learnt about the Universe, and the waves of energy that impact our lives. It is interesting to note that for better perception of the powerful forces of cosmos and understanding the nature of each planet; Siddhas represented them to us as deities. So planets are prayed and invoked as Gods and Goddesses: Power of Mars is represented by Lord Muruga, Sun by Lord Shiva, Mercury by Lord Vishnu and so on. The Siddhas also suggested practical ways to diffuse negative energies of planets to a certain extent. 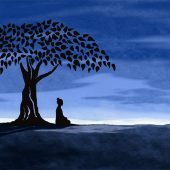 Such remedies specifically help in adding good energies in human life. In Vedic Astrology, Moon is a very important planet and the Moon sign of a person is considered his or her Rasi. It is the combined study of the yogas, qualities of the 9 planets, their influence on the 12 houses, and how the qualities or gunas like Sattwa, Rajjas and Tamasa, and five primordial elements like space, air, fire, water and earth influence matter in forming their nature. Modern Vedic Astrology has evolved over the years and at present, it is popular as a predictive astrology that forecasts about individuals from their birth-charts based on the time and place of birth. And here lies the most sensitive point of this field – what percentage of accuracy in predicting human life can be achieved? Perhaps 75 percent, at least this is the common belief. What surely an individual can gain from Vedic astrology is the knowledge about himself or herself. 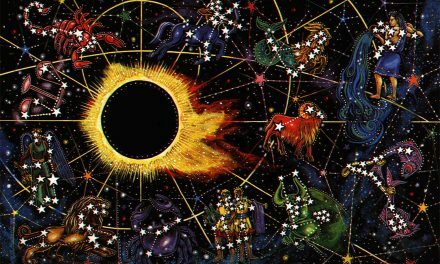 With a certain amount of interaction with individuals, and mainly study of birth-chart, an astrologer can tell about the nature and inclinations of the individual. He makes one aware of the good and the bad influences of planets and such awareness of cosmic powers can help one with better abilities to make appropriate decisions further in their lives. When planets are in debilitated state, or in retrograde they bring lot of hardship to the native. 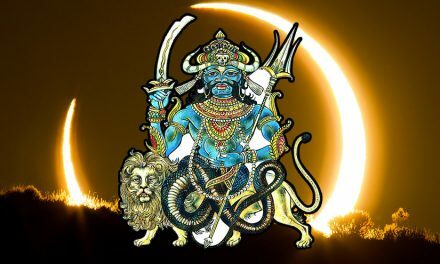 There are certain strong afflictions of planets in birth-charts such as Pitra Dosha, Kaal Sarpa Dosha, Shani Dosha, and Mangal Dosha, which prevent the native from enjoying the good effects of planets. Vedic Astrology suggests remedial measures like chanting of Mantras, observing and practicing certain rituals, keeping one energized through Yantras, wearing beads garlands and observing practices such as fasting on the days when the planets are powerful. Hindu’s vedic astrology is very accurate ! One can not imagine that accuracy . Jyotishi tells the future as like he knows it from past. I have seen a jyotishya who can predict the exact time of death and all his predictions were true . It’s amazing. Jyotisha is the divine vision of Hindu Sages . Jyotisha is used to see the proper match for marriages by all Hindus. Since our moon’s rasi decides our birth star or the zodiac sign, and the birth time and place of birth decide the lagnam, we take into account both lunar and the rising sign in our birth charts. Both these play an important part in matching the charts of the bride and the groom. If either of the charts have a dosham, then the counterpart should match this dosham and pariharams can be done by propitiating the navagraha deities. Vishnu and Siva also be prayed to reduce the bad effects of the navagrahas. Predictive astrology is based on siddhanthas or theories which take into account the orbits of planets and their interactions with the nature of any individual. So the predictions are very different from those of Western Astrology. Nowadays certain astrologers have started following a combined system which uses both these systems for predictions.